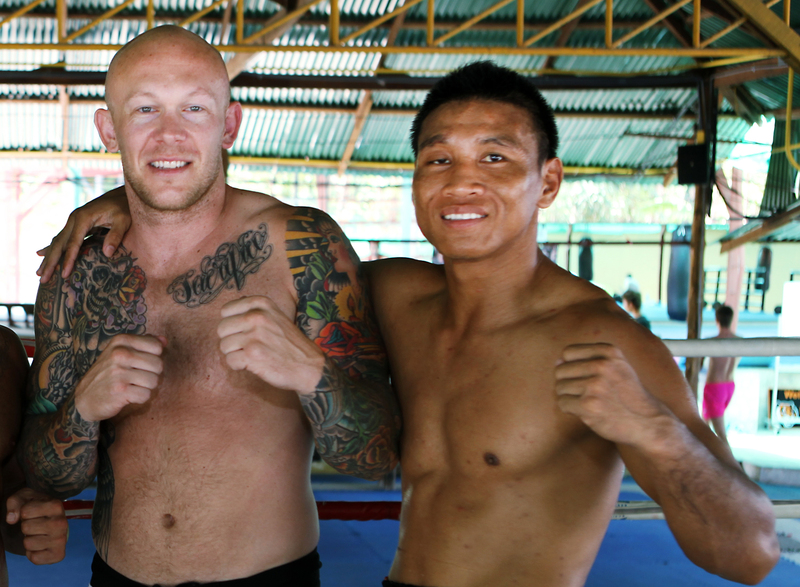 It’s not even high season, yet Tiger Muay Thai & MMA Training Camp, Phuket, Thailand is already packed with professional fighters and repeat guests! TMT alumnus and UFC Veteran Brodie Farber is back once again and training with Kru Robert “The Terminator” in preparation for his fight scheduled for November 10 in New York City. TMT would also like to welcome Jai “The Tooth Fairy” Bradney in preparation for his Nitro MMA-Nitro 7 fight on Oct 20, 2012 at Queensland Australia against Greg “The Tarantula” Atzori who was actually also at Tiger training only weeks ago. Bae Young “Serial Killer” Kwon, Korea Team Posse’s No. 1 feather weight contender and team mate Seung Bae Whi are currently training at Tiger. Bae is currently rated as one of the best featherweight prospects in Korea and fights for Road FC and ONE FC. Former King of the Cage World and Canadian Champion Ryan “The Lion” Diaz is also back and trained as soon as he landed on TMT’s grounds. Ryan is also a veteran of Superbrawl, TKO and Shooto Japan. Australian MMA Fighter Isaac Tisdell, who just won his last fight against Alex MacDonald, has also just flown in and is looking forward to staying long term in an effort to get more fights and acquire more wins. Tiger also welcomes BJJ Purple Belt Shabe “Da Goods” Kafo who is part of the PRO MMA KMA Top Team fighters in Australia. On his Debut fight in Flyweight division of CFC 21, he finished his fight against Kian Pham with a “Eddie Bravo Twister Move” which is 5th Twister Submission in the World and the first one to be done in Australia. Lastly, we are also happy to have Renshi Brian Hayes and family. Brian Hayes is Chief Instructor at the Hunter Valley Martial Arts Centre in Australia and is a 6th Dan Black Belt, as well as holding 4th Dan ranking in Okinawan Kobudo (weapons) and 1st Dan in Iaido (sword drawing). His wife Shihan Sandy Hayes is also a senior instructor and General Manager of the centre. Their kids, Anna, Mika, and Kaia are enjoying the Muay Thai classes offered by TMT.